Whether you're a coach, trainer or athelete, growth mindset has changed the game. It's helping everyone from little leaguers to professionals reach their full potential. 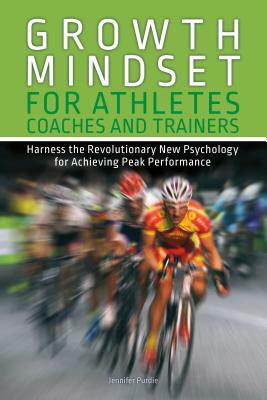 The perfect complement to a physical training regimen, this book shows how to use growth mindset to overcome plateaus and achieve peak performance. - Use visualization for game-day success - Turn losses into learning opportunities - Improve coach-athlete communication - Build trust among teammates - Stretch athletes beyond their comfort zone - Train with different personalities and ages. Jennifer Purdie is a freelance writer, endurance athlete and personal trainer. She has written for publications such as The Los Angeles Times, the Washington Post, U.S. News and World Report, Triathlete, Running Times, Competitor and Salon. She has been featured in magazines and on television, including Woman's Day, Redbook, Reader's Digest, Shape, Dr. Oz The Good Life, Success and Fox Sports. She is also an Ironman finisher and has completed marathons on every continent. She holds a personal training certification with the National Academy of Sports Medicine and is a Fitness and Nutrition Specialist with the American Council on Exercise. She lives in Los Angeles, CA.